Year 2007. My second wine, a 100% cabernet franc aged in barrique that will set a new standard. At sight the wine has a brillant colour, when smelled it expresses prevalent notes of sage and chocholate combined with spicy sensation that rmind tobacco, dried fig and green pepper. 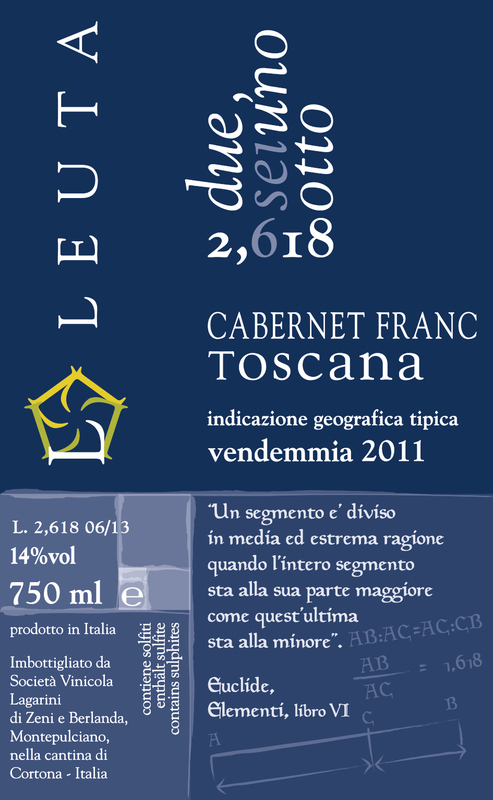 In the mouth is full and elegant, with a grat balance between tannin and fruit and good sapidity. In the end it show a great persistence and a velvet tannic sensation.